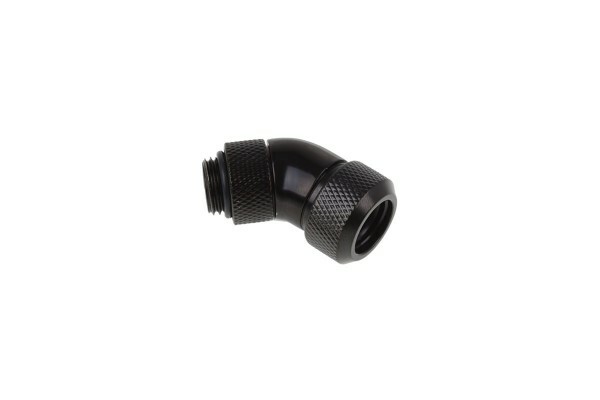 This fitting has a 1/4" thread on one side and is thereby compatible with 95% of components. The other side fits a 13mm acrylic or brass tube. This fitting is bent 45° in the middle to avoid complicated hose connections. The threaded side is rotatable for maximum flexibility.